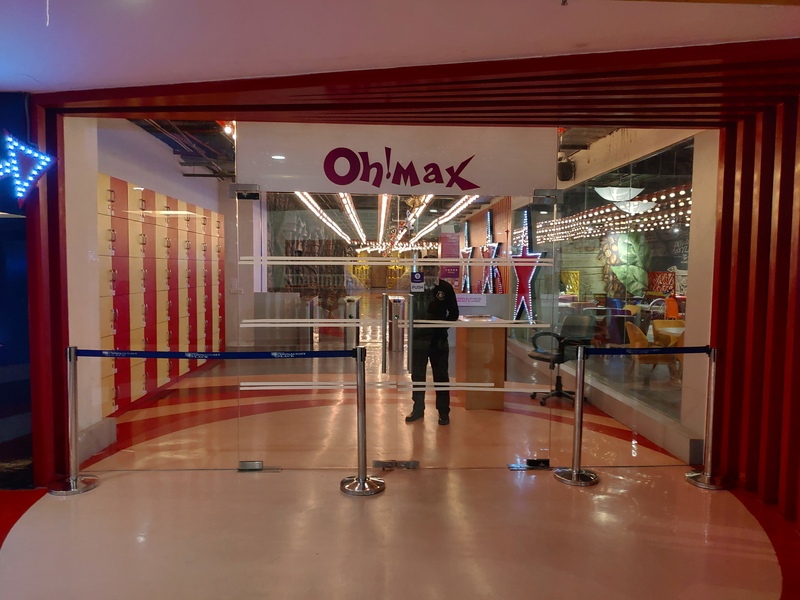 Oh!Max is the first indoor amusement and edutainment theme park located at Omaxe Connaught Place Mall in Greater Noida and near to Pari chowk. You will feel Oh! Max presence from the mall entrance as big dinosaur sculpture are here to welcome you. 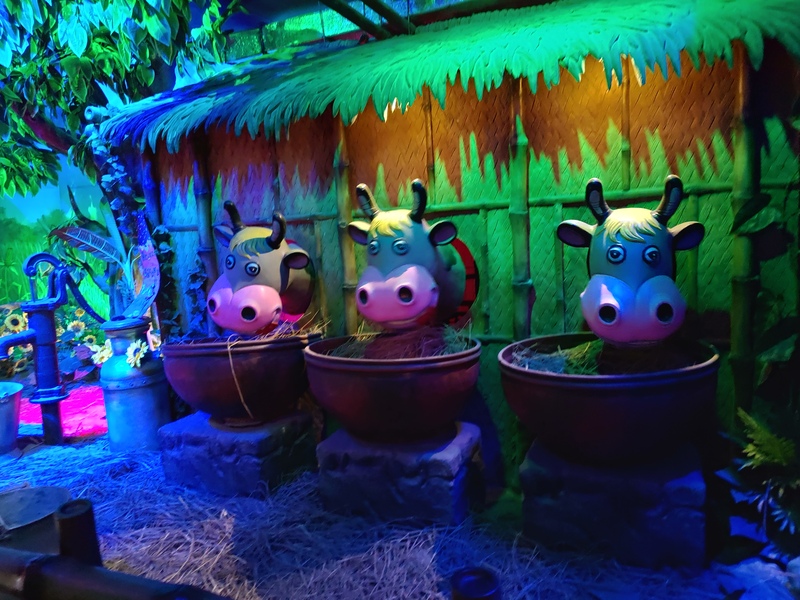 It consist of various entertainment houses like Oh!Taj –The secret chambers,The unsinkable Titanic, Jungles of Amazon, Mirror maze, Treasure of Tut, The chocolate factory and Oh!Adventure. Every house and themes are explained in a nice musical and entertaining way that you will love it. The first and foremost attraction of Oh! Max is The Secret Chambers Of Taj, where you find 40 feet realistic replica of the Taj Mahal, it start with musical dance show of Shahjahan and Mumtaz followed by dance performances inside the Taj ,6Dmovie show and a tour to forbidden chamber of the Taj (where entry is not allowed in real Taj Mahal, Agra). 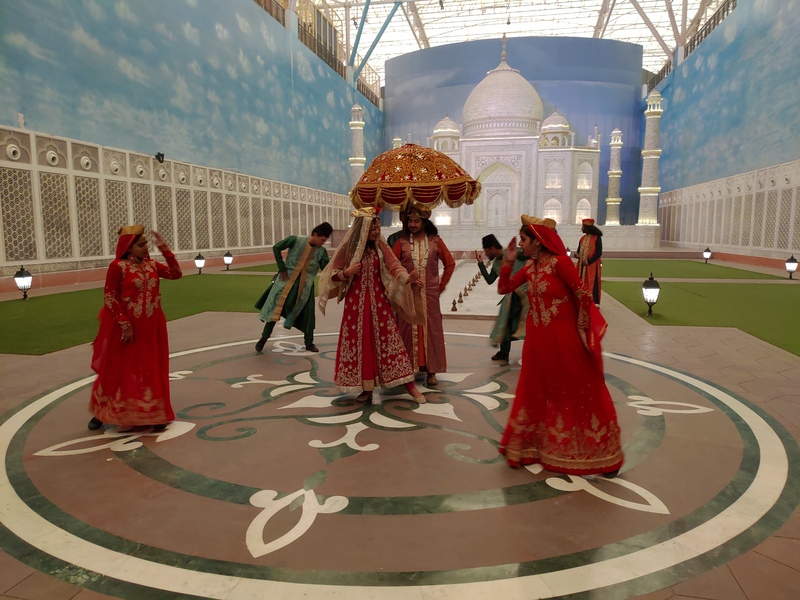 This is one of the biggest attraction and all the artists perform very well to give a real feel of Shahjahan’s and Mumtaz love story. I was feeling nostalgic when I entered in Titanic. As we all know the story of this queen of sea and the same they tried to visualize by the amazing performance of their trained artists. 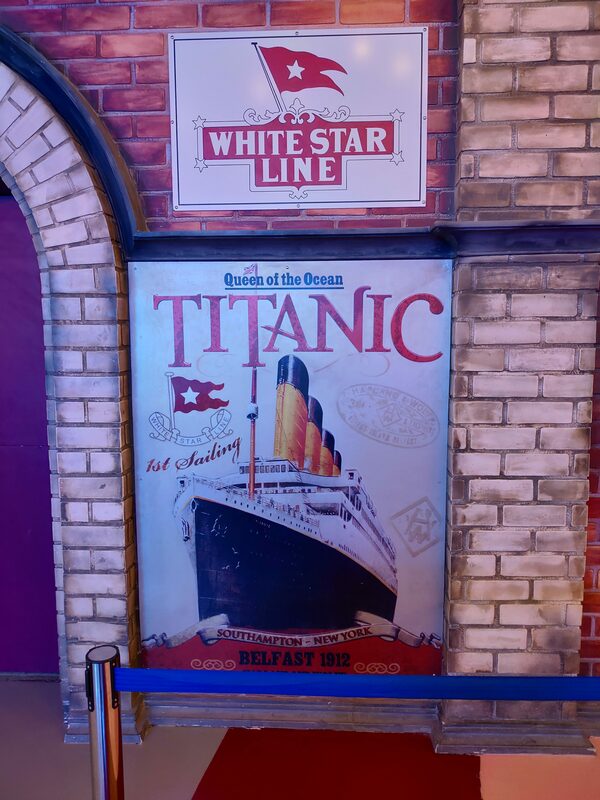 The show start at a slow pace to create a platform for those who don’t know about Titanic followed by a quick documentary and virtual submarine ride, tour to various compartments of the ship with Captain Smith, First-class dining hall, captain’s 3D projection show, debris of Titanic, tour of Titanic Museum . When we visited this place it was my kids favorite theme. A reconstructed jungle safari where you find ancient caves, mysterious plants, tribes and violent animals of the wild. Wild sound within the house make it more lively. 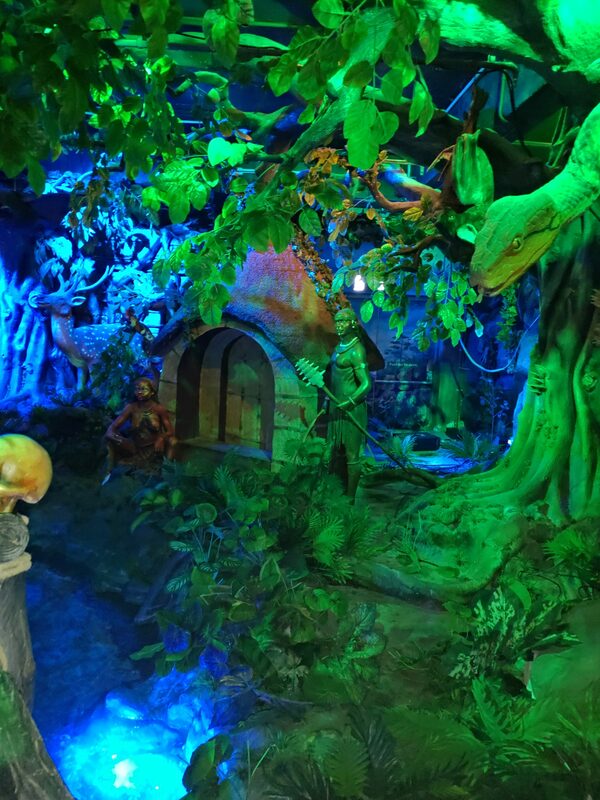 This is an amazing place where you lost yourself in an incredible Mirror Maze. Everything you see might confuse the real way as you don’t know what your next turn will lead to. It is very exciting and thrilling to find a way to come out. I can only suggest to stay cool and enjoy the place, you will find a way out. 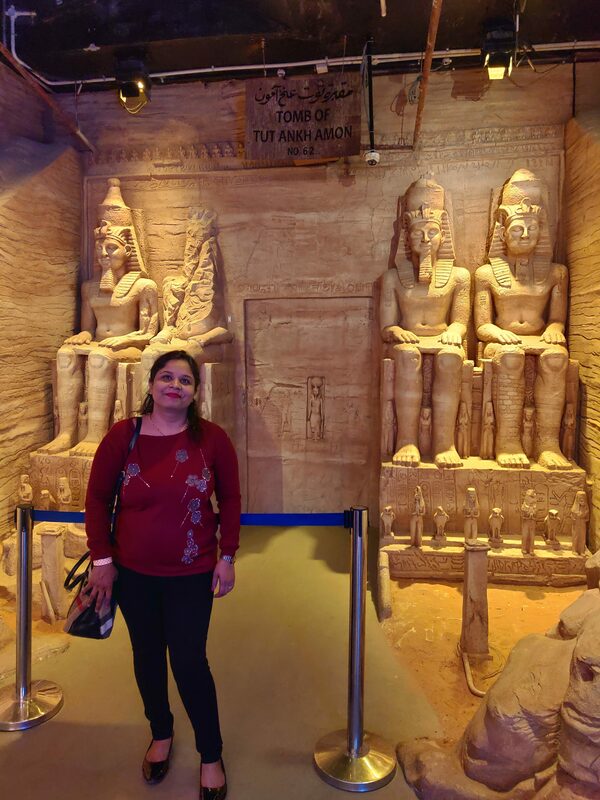 This is a house which take you to thousands of years earlier time and discover the mummy and its secret wealth with our guide. Here you Explore wonderful statues and strange creatures, all flashed with gold as they emerge from the fog in the cursed tomb. There are many surprises planned and hence it is not suitable for kids. 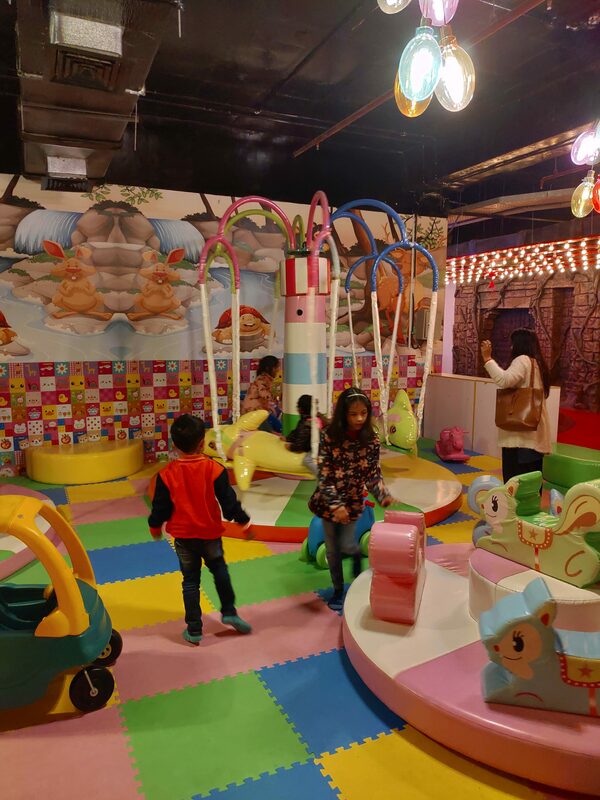 While entering this house, one can send their kids to play area where kids can ride and play, Oh!Max staff takes care of kids during the parents are in the house of treasures of TUT. This house also include 5d Stimulator ride which is not recommended for pregnant ladies and people with back pain. 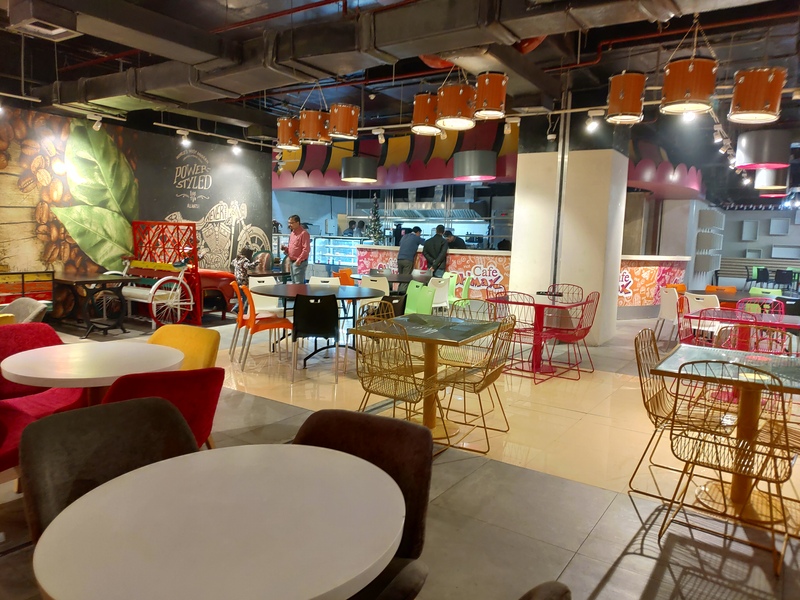 I hope you find this place most interesting for your kids as they love chocolate and here a complete drama depicts the way to make Achhi Pure and Honest Chocolate. It starts from milking cows to selecting, fermenting the cacao seeds, each step is well explained in fun learning manner. 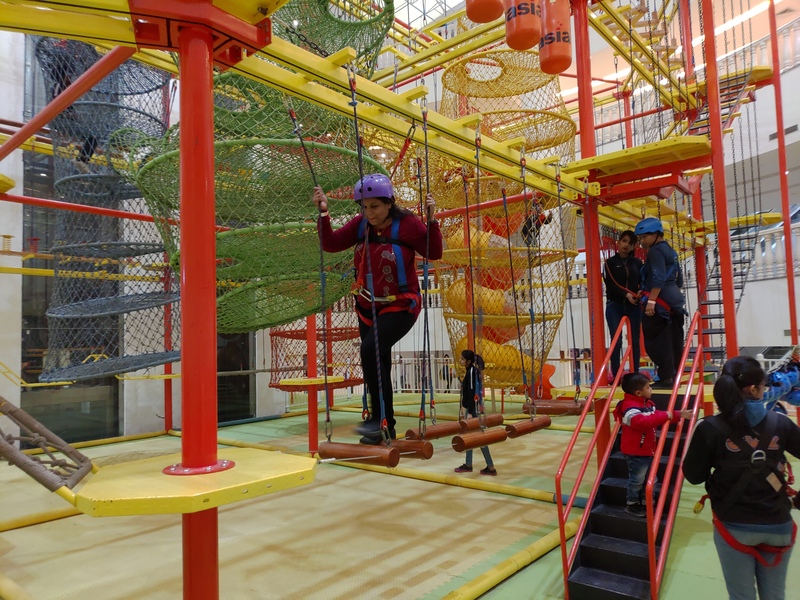 The adventure park is also inside the OCP mall where you rise above only after testing your balance, strength, and will power. It is a 3-level obstacle where helmet and other safety measures are maintained for you and your kids. There are some minimum requirements which includes minimum 4ft Height and maximum 80 kg weight capacity. Sport shoes are necessary. Heart Patient, and pregnant ladies are not recommended for this activity. In addition, a juggling guy is also available to entertain your kids with lot of activities of ball and ring. Oh! 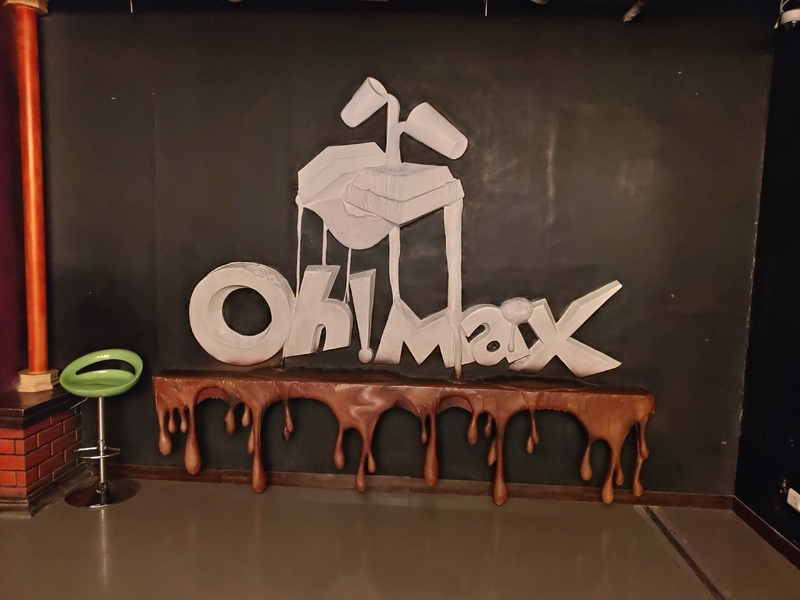 Max owned restaurant is also available for the delicious food and snacks to serve you. Proper hygiene is maintained and sitting area is also comfortable. Thanks!! Do visit and share your experience. Yes Nehal!! It’s an amazing place for family outing. its fun for full family and great entertainment for all age groups. Yes Sapna… Thanks for the read. Looks lime you had loads of fun. Great place fpr kids and adults too. isn’t this an amazing place to spend some quality time with family? my son would love this place. Looks like a perfect place to unwind and relax with friends and family. 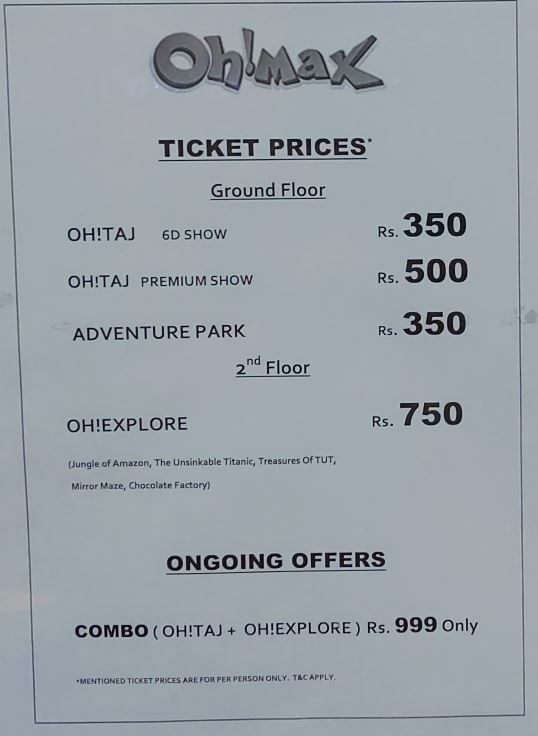 The offers of entry are also so reasonable. Awesome entertainment! 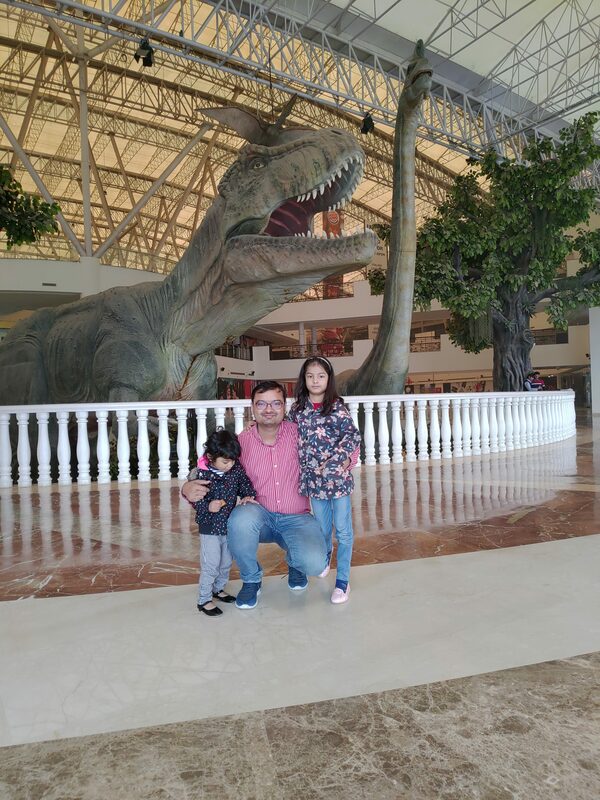 This place is not just fascinating for kids but for entire family. I will certainly plan to visit. This place is a perfect place for a one day outing with family or friends. this is obviously a worth visiting place with family. Wasn’t aware about it earlier. I am sure kids as well as adults would love to be at this place. It looks amazing. Wow that’s cool… we would like to visit this place…. awesome dear.. This is what i felt after reading post and seeing pictures. Its seems to engaging and one can have great family time. I am so looking forward for one visit here. I have loved their themes, since the mall is just a km away from my place I’ve been there thrice till now. It really excites my so a lot, nice place really! !